I was on my way out of town when I spotted this sign: The Vegan Yacht. 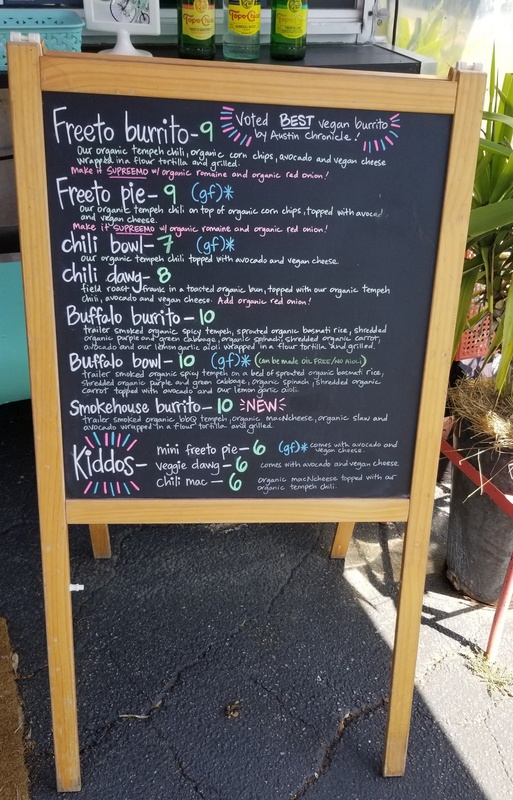 I had heard that this was one of the most popular vegan eateries in the Austin area so when I saw it, as I was driving south on Manchaca Road, I turned around as fast as I could. Not only was I hungry and needed some food before getting on the long road to South Texas, but I was also determined to see what all the hype was about. 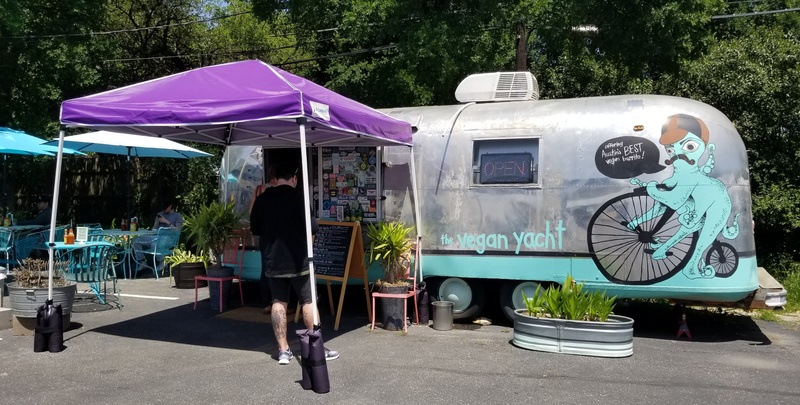 The Yacht is a small metal trailer decorated with an octopus on a bicycle, and a sliding window covered in stickers about plant-based and vegan sayings and places. There were two people inside; one greeted me and took my order. They were busy and had several patrons already eating at the picnic tables next to the trailer, and a couple more in line waiting to order as well. If you’re not in a hurry, there is plenty of parking and tables to enjoy your meal outdoors, especially during the beautiful spring weather in Austin. I read the menu thoroughly and opted for the Buffalo Bowl. I had no idea what to expect, but considering all the positive reviews I had come across, I was hopeful. I took the bowl to go and left to run some last-minute errands. After about thirty minutes, I was finally able to stop and eat. The picture doesn’t do this magnificent creation justice. The combination of flavors burst in my mouth--it was crunchy, soft, creamy, flavorful, and absolutely delicious. The spicy tempeh had a melt-on-your-tongue texture, and although it was labeled as spicy, it was mild enough even for the spice-averse. 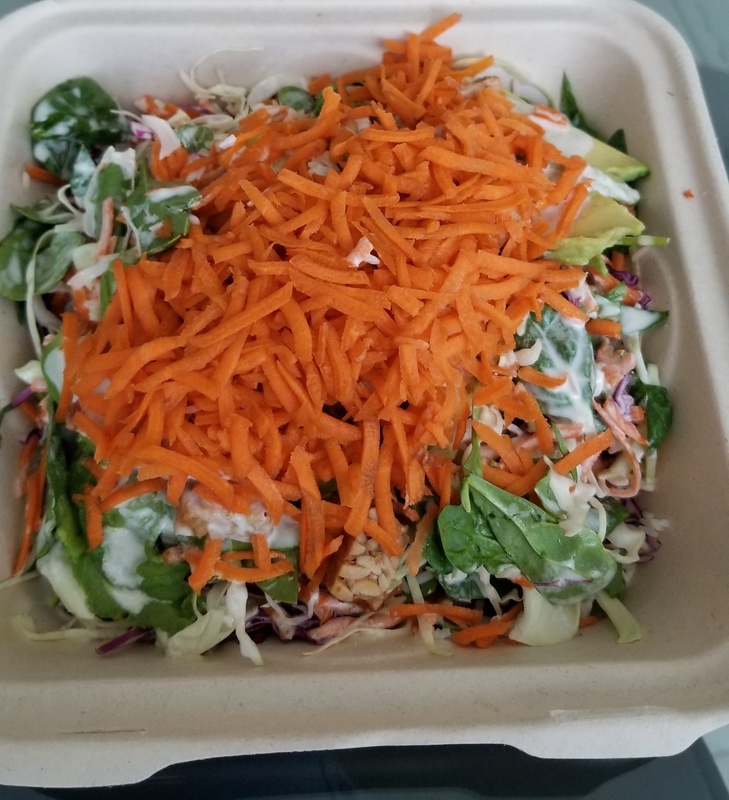 All the vegetables were as fresh as they should be: shredded organic purple and green cabbage, organic spinach, shredded organic carrot topped with avocado and their own lemon-garlic aioli, on a bed of organic basmati rice. Perfect combination! This bowl was one of the best I’ve had and I will make a point to come back and make my way through the menu whenever I'm in South Austin. Click HERE to see their business hours and location. 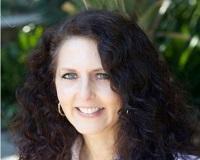 To view newly listed homes for sale in Austin, click HERE.